Preston Green is the John and Carla Klein Professor of Urban Education at the University of Connecticut’s Neag School of Education. He is also a professor of educational leadership and law at the University of Connecticut. Before coming to the University of Connecticut, he was the Harry Lawrence Batschelet II Chair Professor of Educational Administration at Penn State, where he was also a professor of education and law and the program coordinator of Penn State's educational leadership program. In addition, Dr. Green was the creator of Penn State's joint degree program in law and education. Further, he ran the Law and Education Institute at Penn State, a professional development program that teaches, administrators, and attorneys about educational law. 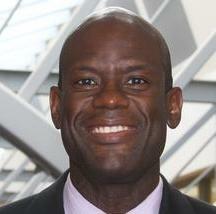 At the University of Massachusetts, Dr. Green was an associate professor of education. He also served as the program coordinator of educational administration and Assistant Dean of Pre-Major Advising Services. Dr. Green has written four books and numerous articles and book chapters pertaining to educational law. He primarily focuses on the legal and policy issues pertaining to educational access and school choice. He holds an Ed.D. in Educational Administration from Teachers College, Columbia University and a J.D. from the Columbia University School of Law.